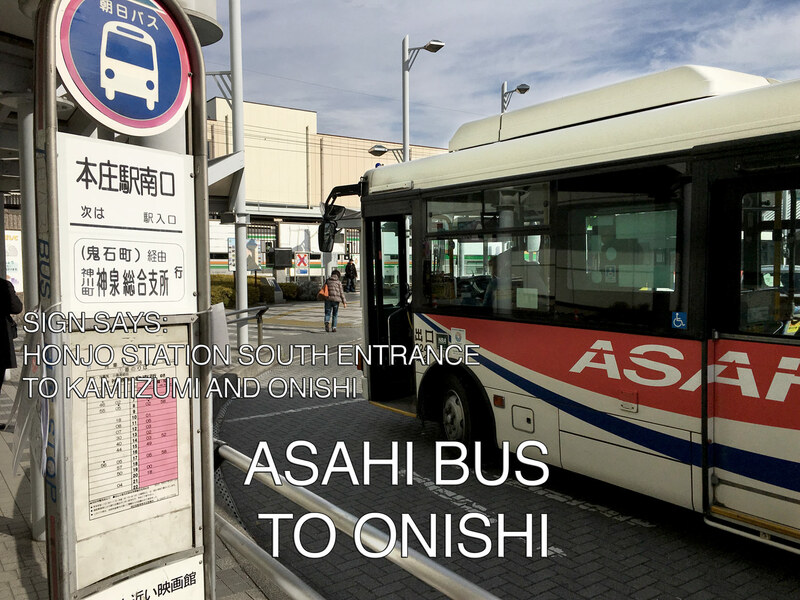 Bus between JR Honjo station and Onishi. Shiro Oni Studio guestS can either get off at 'Onishiyubikyokumae' (鬼石郵便局前) or 'Kamimachi'(上町). 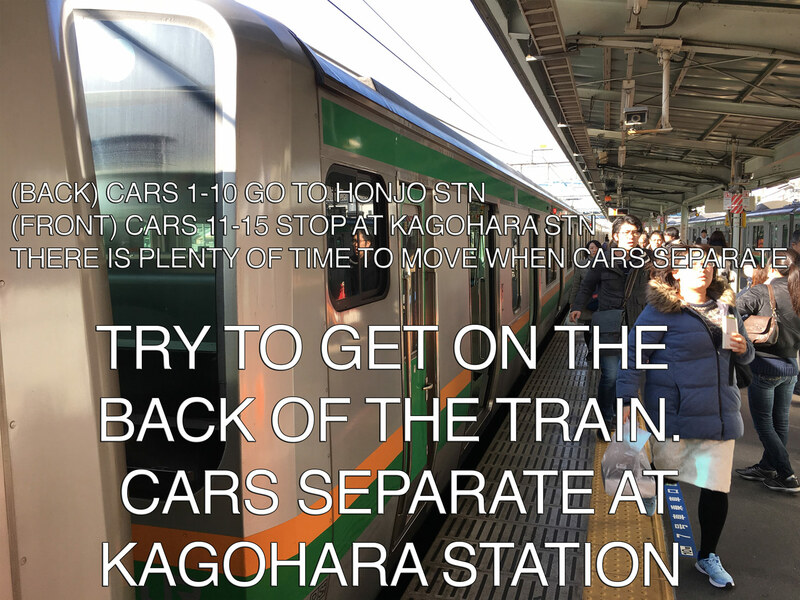 Timetable, directions and photos below. 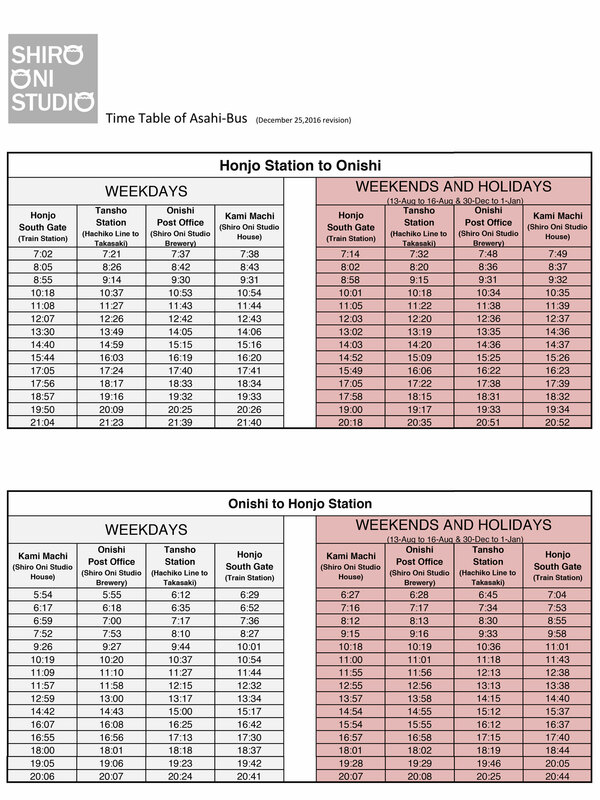 Visitors from Tokyo need to take a train to Honjo station and then take a bus to Onishi. 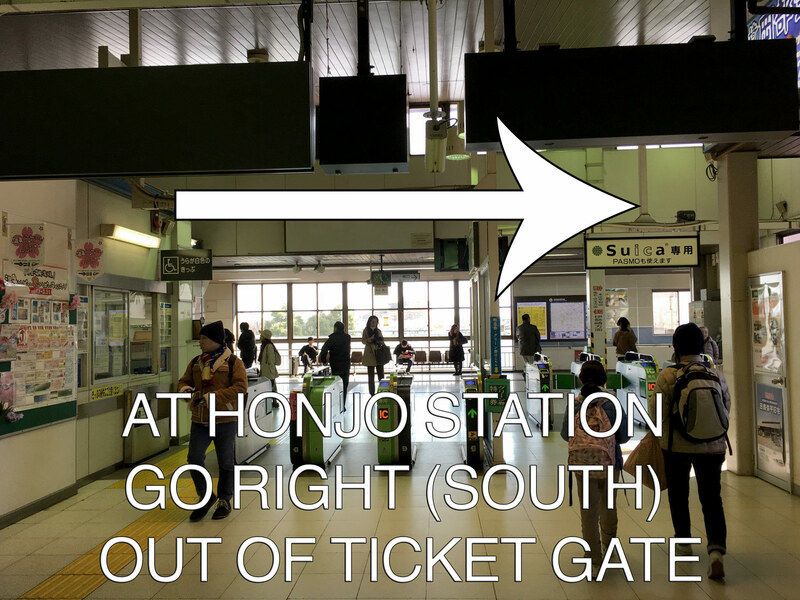 BUS: Walk out ticket gate. 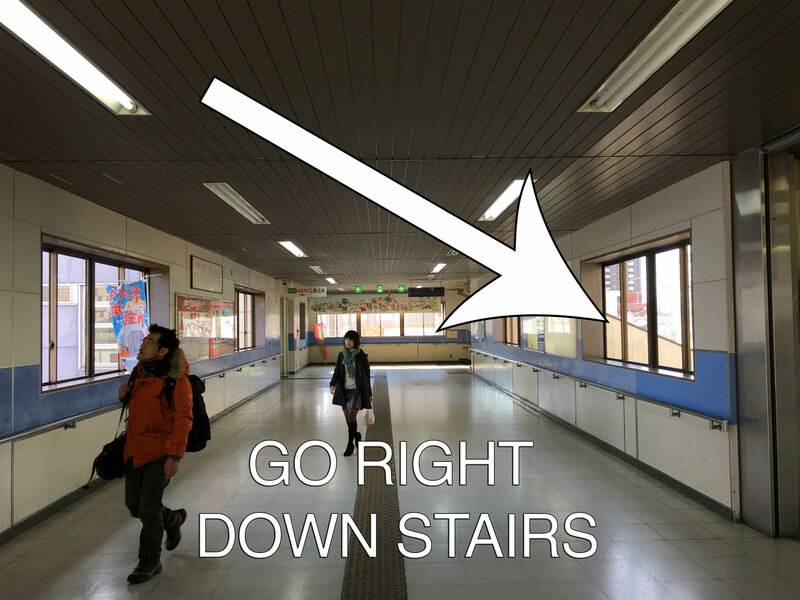 Go RIGHT. walk down the stairs. 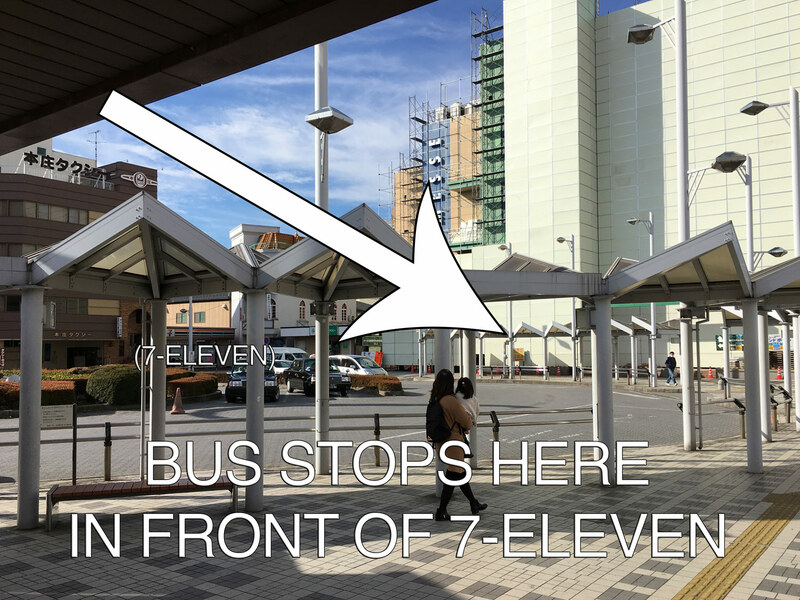 There are three bus stops. Go to the stop on the far RIGHT, in front of the 7-Eleven. Last bus is at 20:18 weekends, 21:04 weekdays. 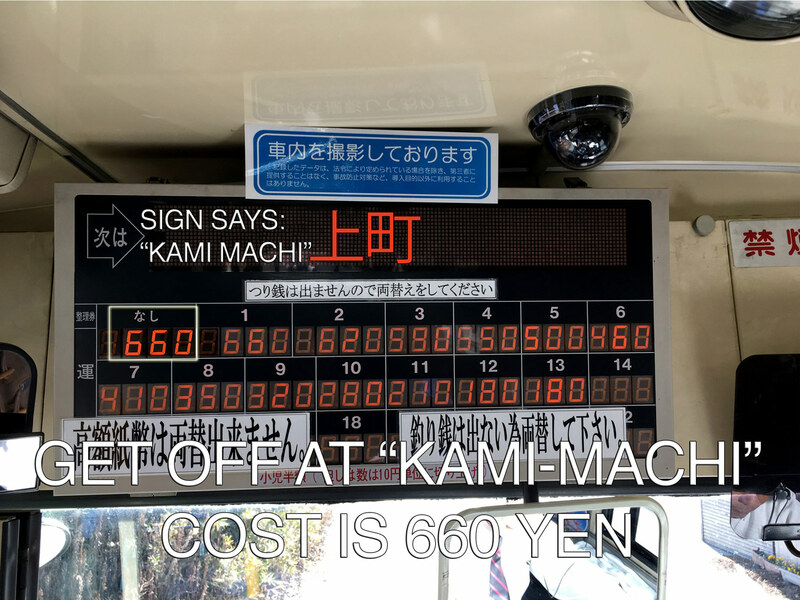 Take bus to KAMI MACHI 上町. (40 minutes, 660 yen.) 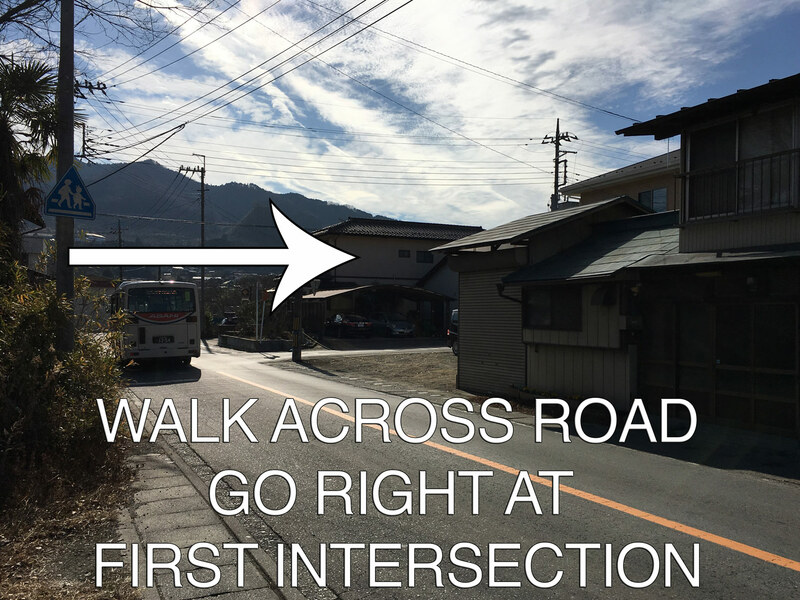 Walk slightly down the hill a few meters. Turn RIGHT at the T intersection. 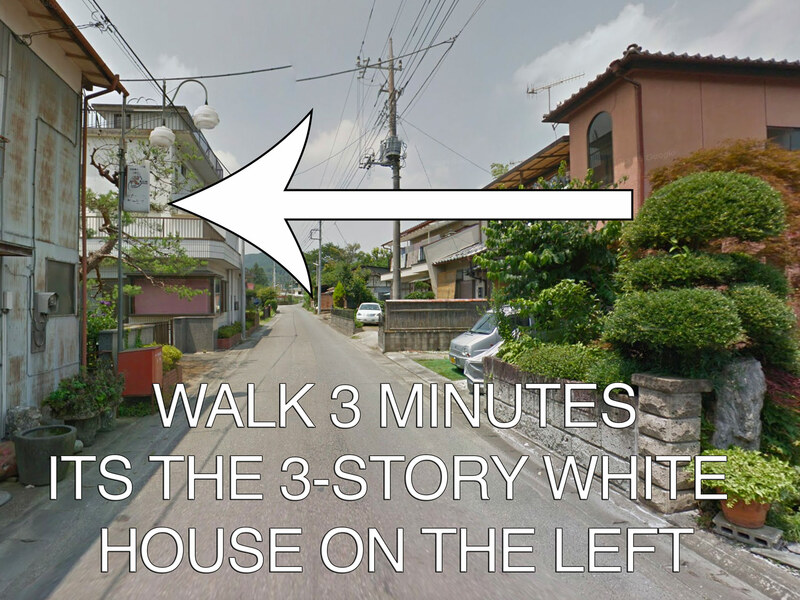 Walk about 3 minutes. The guest house is on the left. Its the 3 story white building with marble columns in the front.